Asbel Kiprop’s samples were allegedly collected in November 2017. One year and two months later, he has not been able to participate in any competitions and is yet to know whether he is going to be banned or not. I have no idea why it is taking such a long time for him to be either banned or set free, but I know this. When I started my anti-doping awareness campaigns some time back in 2013, I remember Asbel Kiprop was among the first people to support me. He did purchase a number of T-shirts with a slogan urging athletes to run clean that I helped distribute to a number of athletes. I know of some of the athletes who saw the need to shun doping completely out of my small efforts. I grew up in the rural areas in the Rift Valley region in Kenya. My primary school was about four kilometers away and I, with my siblings, would run to and fro four times in a day. This made me like running. However, in a land where everyone is born into the same life situations, it was hard to make a great impression as an exceptional runner. I would win in some low profile competitions, but could not proceed due to the abundant talents around. However, my interest in running began there. Writing came out of my creative nature, and the two passions; running and writing have resulted in my books. In Primary school's creative writing tests. That's from around 1994. I think I was born a writer. Running and completing a marathon is one of the hardest undertakings that any runner can undertake. 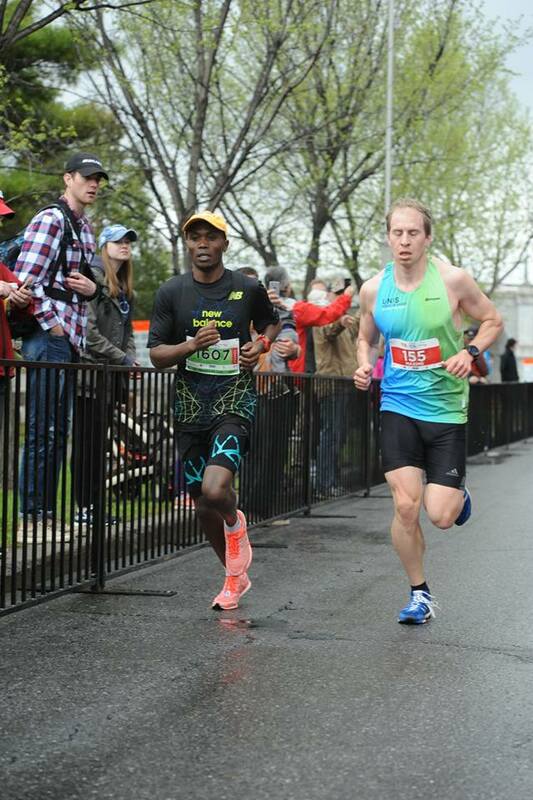 Cutting 29 minutes off a marathon time is even harder. It needs well thought and lengthy preparations. The training program should be made to incorporate track and road speed workouts, hills, long runs, tempo runs, enough sleep, among others. The best ever cross country race that I ever witnessed in my life. If there is one thing that I am thankful for having been born in the 21st century, it is that I got the chance to witness a race like no other and one that will be hard to ever be replicated in the next 100 years. I have met a number of fans who watched it, and they all agree with me that there has never been another race like that. Try hard and just imagine for a moment winning one of the major marathons in the world. I know it is already hard to imagine winning a local 5K race in your town, but just give it a shot. Imagine repeating that again in yet another major marathon within the same year. Imagine you shattered the world record by over a minute in your next marathon. And, if you still have some more energy to imagine, continue and imagine being named as the IAAF’s best athlete of the year. A conversation I had with one athletics manager dealing with the long and middle distance runners kept me thinking about the need for stake holders in the sport of running to invest in different ways to attract more fans into the sport. We need more running related TV and Radio shows, magazines, more races coming up, more marketing of athletes, more coaching on public relation skills to top runners, and many more other ways. Many people claim to be running “just” as a hobby. No problem with that. But, to be honest, running is quickly transforming itself into another form of a business venture with great potential. Times are quickly changing. Even water used to be free a few years ago, but time has come when companies have seized the opportunity to bottle and brand the resource and it is now turning into another lucrative business venture as well. Even soil is being packaged and sold in supermarkets these days! There are so many companies that are getting into the health and fitness industry in the recent years. 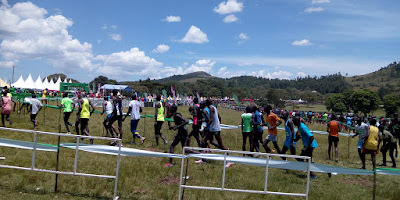 Be it sport tourism training camps and destinations (like Iten, Kenya), medical facilities, gym facilities, nutritional products, running shoes, online coaching and even sites that get money out of sports, for example review ug worldstar, among others. In fact, other companies that are not even related directly with the sport of running are getting into partnerships with athletes in order for them to market their brands. 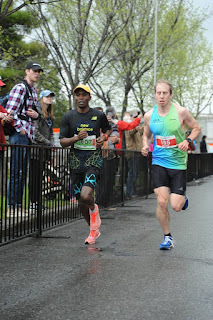 This was my experience last year when I went out to run some road races and train in Canada for a month. It was a very fulfilling and insightful experience in many ways. 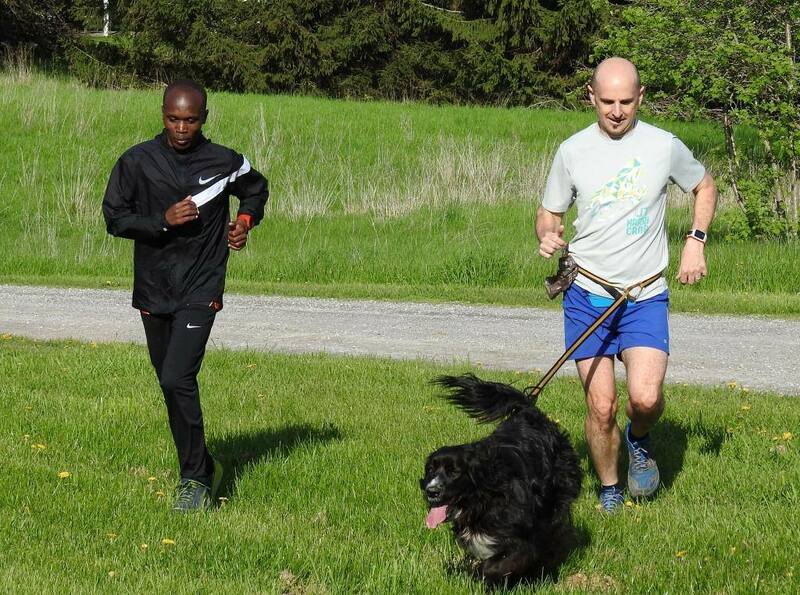 There are many great stories that come out from running and training in Kenya. Be it getting lost in the forest, being taken on a longer route than you had planned and ending up stopping and asking for help, starting out on a very tough workout with a group then looking at each other understandingly in the middle of it and quiting at the same time, dancing in the early hours of the morning in an attempt to keep warm as you wait on other runners to arrive before you could start a long run, among others. In the morning before a marathon, there are times when everything seems to be happening so fast and you feel that you are already too late to do everything; pass the security lines, change, leave your bag at the left baggage section, warm up, queue the line to the toilets, etc. If there is one event that Kenyan runners have and continues to dominate, it is the 3000m steeplechase. It used to be the men in the past, but Kenyan female runners are beginning to take after their male counterparts as well. 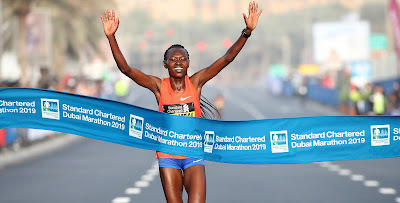 There is the emergence of Hyvin Kiyeng, Beatrice Chepkoech who now holds the world record of 8:44:32, Celiphine Chespol and Norah Jeruto who have continued to dominate the Diamond League races in recent years. The road to the 2019 IAAF world championships in Doha should be starting right now for athletes interested in winning the medals there. With time, I will try to post all the typical Kenyan training for all the distances but for now let’s concentrate on the 5,000m event. This event is the closest to the middle distance in the category of long distance events and therefore requires more speed workouts than the other long distance events. Many athletes who do well in this event often do well also in the 1500m. Bernard Lagat of the USA, and Augustine Choge of Kenya and Hicham El Guerrouj of Morocco are examples of athletes who have been doing well in the 1500/5000m distances. But, there are others who do well in the event and also in the 10000m, like Mo Farah of Great Britain, and Kenenisa Bekele of Ethiopia. There are many couples who have met through running and have had their support for each other result in perhaps more achievements than any one of them would have achieved individually. The benefits of having a good training group has never been disputed, but perhaps the benefit of having a spouse for a training partner could even be much more than that of being in such groups. Once you are out of the door and out training you get the opportunity to become running mates where the role of a husband or a wife is not easily defined. Your minds shift away from the daily chores and responsibilities in the house and dwells on the plans for your runs; you will have to agree on the route, the pace and the duration to go out for a run. You might have had arguments at home regarding other matters, but when the times come for training, you get a well-deserved break into a different world for a while. 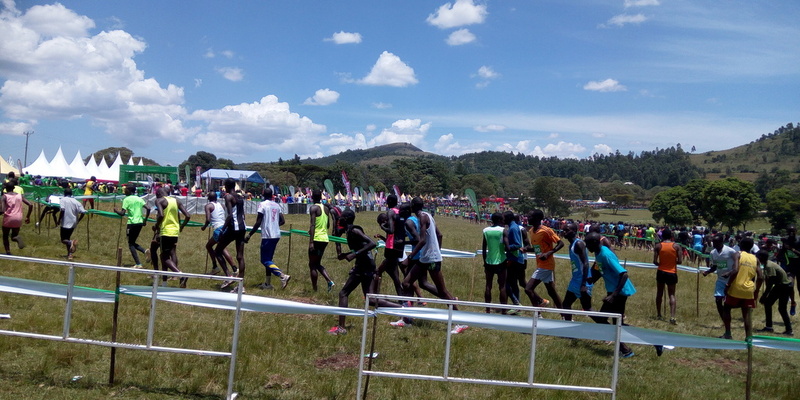 Back to start line for the runners after a false start in the junior men's race, Ndalat Gaa. The Isaiah Kiplagat Memorial Ndalat Gaa cross country race continues to receive great support from its main sponsors, the county government of Nandi, local institutions and the local community at large. This year’s race was even so much better organised and bigger. This event is turning much more into a fun weekend more than a competition. It is a great opportunity for meeting up with former training mates, mingling with star athletes, watching the races and getting entertained by traditional singers and dancer, among other enjoyable activities you can get involved in. Do runners benefit from journalists or journalists from runners? It happens at times that, some few athletes at times take journalists in circles as they seek to have interviews with them. There are at times when the journalists as well become too much for the athletes following them everywhere instead of giving them some time to relax and have some ample time with their families. I am both a journalist and a runner and my experience, over time, in the two fields has thought me a lot. Before 2010, for example, before social media became more aggressive it was so frustrating to try and learn about and get some information on runners, especially the East African runners often referred to only as “a pack of Kenyans and Ethiopians at the front” even after winning major marathons out there. You would search about the results of the major race and find a lot written about a runner who finished 5th, 7th, 15th, 19th, etc, and nothing about the podium winners. Many local companies in Kenya usually come in to sponsor the highly increasing number of road races around and, as athletes, we are ever so grateful for such companies. However, unlike in other team sports like volleyball, soccer and rugby where players even get salaries while in their training camps, I am yet to see a local company in Kenya that support athletes in their training, nutrition, coaching, access to gym facilities, massage, accommodation, travel to races and other daily living expenses. 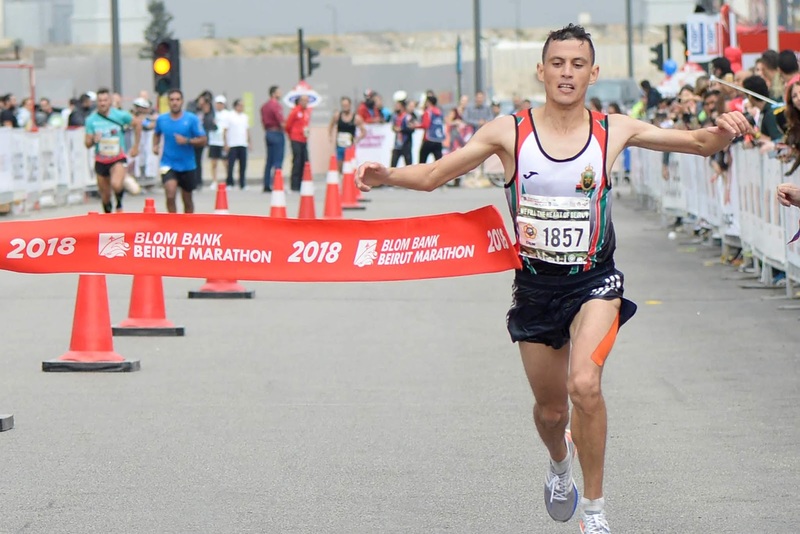 In what many would have thought to be a mistake, Mohamed Redal pushed the pace early at the Beirut Marathon managing to get an early break in the men's race that eventually resulted in an epic victory for him. He was able to beat his next competitor by a margin of over a minute. The women's race was a close competition in which Medina Deme emerged victorious. Beirut, November 11, 2018 - Mohamed Reda El Aaraby of Morocco played a starring role at 16th edition of the BLOM Bank Beirut Marathon on Sunday morning (11), clocking a course record of 2:10:41 to upset the favourites in the IAAF Gold Label road race. Running is simply the act of placing one foot in front of the other rapidly as you move from one point to another. But, one needs to learn much more than that if they are to run a marathon well. Humidity and atmospheric pressure are part of the topics one needs to learn as a runner. It is not enough to just check the temperature or the time of the day that the race will be run. Humidity plays a great role in how your body will feel on race day. A humidity of over 45% will have some effect on your running, a 75% will greatly affect your running while a 100% humidity will make it extremely difficult for you to run. Humidity makes running more difficult on warm days in that high moisture content in the air will make it feel hotter . It is important to recognize that feeling sluggish on a day with high humidity doesn't indicate a lack of fitness or a lapse in mental toughness. Body temperature naturally rises when one runs and sweat glands produce sweat to carry excess heat to the surface of the skin, where it evaporates and produce a cooling effect on the body. But with higher humidity in the air, sweat is prevented from evaporating. When the body continues to heat up and get dehydrated, it goes into survival mode of trying to maintain blood flow only to your essential organs and to your skin. If you continue pushing hard despite the early warnings, your brain temperature may even rise as a result and make matters worse as your ability to assess your own body temperature will be compromised. You may start to lose control over your body movements and your mental abilities may end up disoriented. 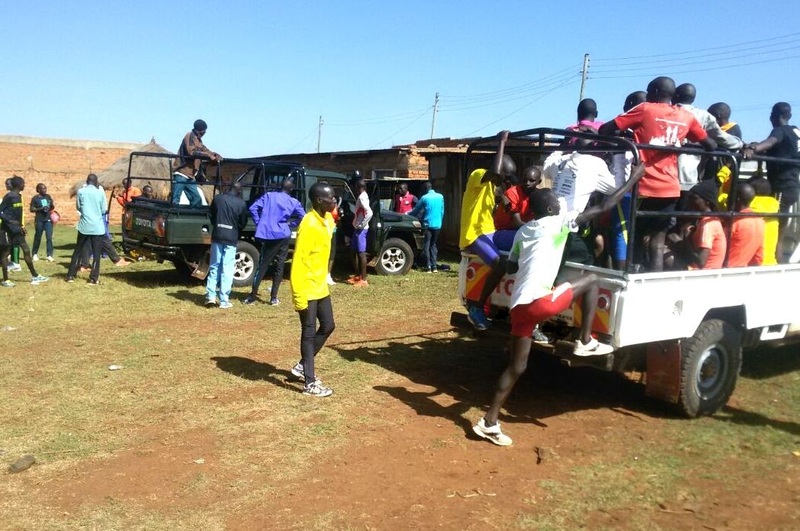 Kass marathon that begins in Kapsabet and ends in Eldoret is unique and tough. The fact that Kass Marathon starts from one town and ends in another one may not be that unique, but what is really unique is that crowds line up the entire route from Kapsabet town to Eldoret town to cheer the athletes, just like it happens in cross country meetings. This only happens when a race is run across villages that produce past, present and future world record holders and champions. Kass marathon marathon is more about discovering new talents than anything else. It continues to provide opportunities for new athletes to get recognized. Many of them get to meet their managers just at the finish line who would then enter them in international competitions abroad and build their careers. Time is not important in this marathon due to it being run on a hard course. The winning time for men is usually around 2:17 to 2:20. 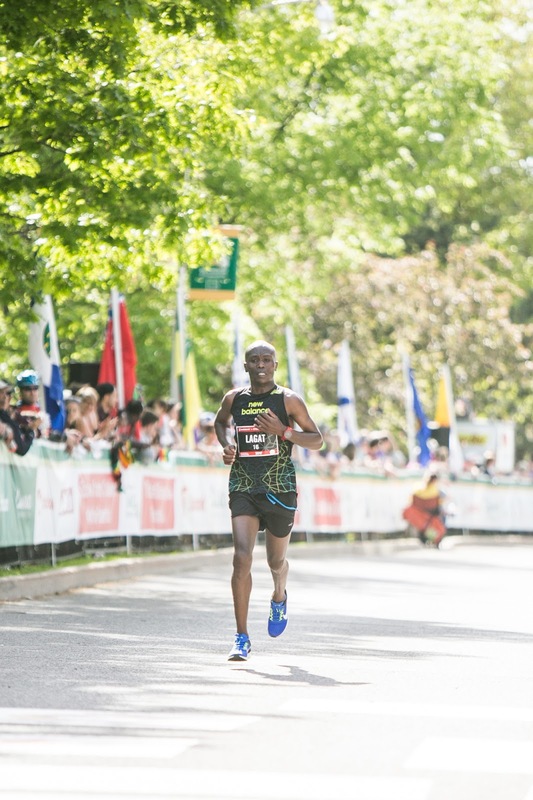 These times would perhaps translate to 2:03:02 if it is considered that Geoffrey Mutai won this race before going to run the world’s fastest marathon time at the Boston Marathon in 2011. But, no one should worry about the times because finishing Kass marathon is a huge achievement in itself, no matter in what time you do it. 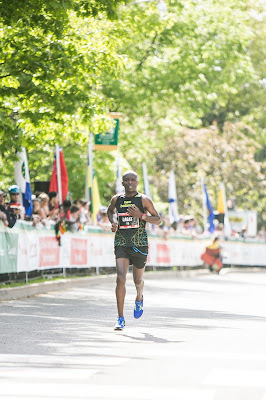 Some runners run just to complete this course believing that if they can just finish it, then they can easily conquer any other marathon out there. Yesterday, I got an email notification that a new friend was now following me on Strava. On logging in to my Strava page, I noticed that it was a close friend of mine from Ontario, Canada. So, I was curious to compare his personal best times with mine. My friend had 20 minutes for his 5km time. I checked mine and I could not believe what I saw. I had 12:37.00! Kenenisa Bekele’s official world record is 12:37:35. Does this mean I am the fastest runner over the 5k distance? I could hardly believe it. I was already beginning to dance as I clicked on the time to find more details on the exact route on which I registered the time. Everything that any runner may need, all in one store! I just came across this online store that is a one stop shop... or can we say a one site stop for online shoppers?... for any runner of any ability, age and stature. It has anything that any runner would need from running shoes, clothing, sport electronics, gps watches, nutrition and hydration stuff, and any other accessory you may ever think of as a runner. Just check out their website by clicking on the ad below and let me know what you find missing. At Runners Need, they have always believed that it’s never too late for anyone to start running given that their founder, Chris Bould didn’t set out on his first run until the age of 26 when he joined the Highgate Harriers in 1979.Inspired by his experience in the USA, where he raced in the New York City Marathon and visited their specialist running retailers, Chris and his wife Judy founded the first Runners Need in Camden in 1982. Adhering to the passions and principles of their founders, Runners Need help runners achieve their personal fitness goals with the latest products from world-leading brands, friendly, expert advice and a personal service that everyone can trust. Runners Need genuinely love running and seeks to share that enthusiasm and knowledge with their customers, which is why you can visit them in-store and online for expert guidance on anything from training, racing and nutrition to footwear, clothing and electronics. They believe that a great running experience begins with the right shoe, so their staff is trained to offer free video gait analysis and professional fitting services in every store. Sometimes, disappointments may serve to bring out the best in a situation and I think that the Boston Marathon incident that happened in 2013 did help demonstrate to the whole world that runners are brave, resilient, caring and united. 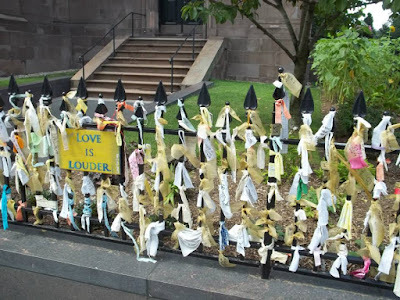 When the bomb blasts happened around the finish line of the Boston Marathon in April 2013, many feared that the popularity of the event and the attendance in other major city marathons that were still to happen later in the year would be affected negatively. But, looking back eight years later, the Boston bombings might have even brought in more recognition, success and popularity to the sport of running. Those who feared that the worst was going to happen to marathon running after the unfortunate incident in Boston might have just forgotten one thing; the nature of the people who run these marathons. It is not everybody who has the courage and the determination to run 42km and endure all the training and time that it takes to do that. Marathon runners are lion-hearted; in fact, other people who are too weak to walk a kilometer or two, leave alone run, at times view marathon runners as maniacs. What they do not understand is that marathon runners are resilient people who would not be easily deterred from achieving their goals – especially not by some cowardly acts like the Boston bombings. The incident in Boston thought the world more about running and runners. Running in general is one of the careers in the world that has been able to transform the lives of so many hard working individuals who would have ended up miserable, but instead became heroes and role models in society through their talents in running. In fact, it may be the only path to success that doesn’t need material wealth for one to succeed. Many runners who lacked money to further their studies, startup businesses, or buy facilities to participate in others sporting activities, have been able to find refuge in running; because the only investment needed is one’s pure hard work and determination as a capital to begin it. Many who could not even get money to buy running shoes have been able to start running barefooted and ended up succeeding in their lives. It also revealed the big hearts that runners have. Just six days after the Boston marathon, an impressive number of 34,631 runners turned up again to run the London marathon. And, as though to show that not only are marathon runners like a family to each other, but the city marathon organizers too, the London marathon organizers, decided to donate $3.00 from every runner who crossed the finish line to the Boston bomb blast victims. 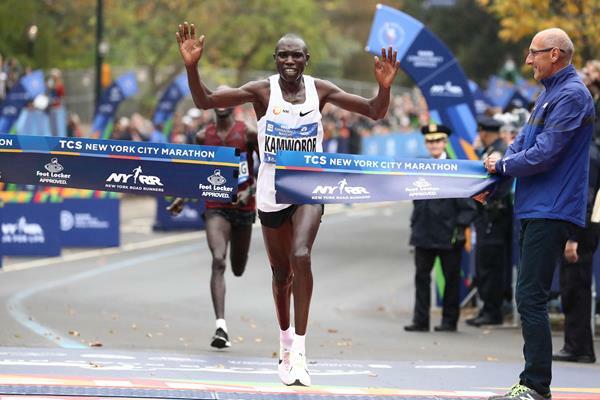 Confidence was evident in both Mary Keitany and Ghebrselassie in the 2016 edition of the TCS New York City Marathon, even in the early stages of the race. Keitany ran her own race without caring who was following her, nor worrying about going alone and being run down later by a chasing pack. She seemed to know exactly what she was doing and how she wanted to run her race. Ghebrselassie on the other hand, while in the company of Rotich and Desisa, appeared calm and confident. He later told the media that what he had done in training was what gave him the confidence. 2. Runners help one another on the course despite competing against each other at the same time! Nothing explains why Ghirmay Ghebrselassie shook hands with Lucas Rotich at the finish line of the New York City Marathon, other than a friendship and understanding that developed between them over the course as they helped each other in pushing the pace at the front while Lelisa Desisa seemingly stayed back patiently and left the two to do the pacing. “We were helping each other before he dropped back. Then after I looked back once and he was a little bit far from me, and I was really a little bit angry with him because we were helping each other. I was thinking maybe others from behind can catch him. So I was a little bit competing with it. So I was okay.” Ghebrselassie said after the race. This is what always happens almost at the finish line of every race where runners hug and congratulate each other after competing. It reminded me of Hyvin Kiyeng during the semi-finals of the women 3000m steeplechase race at the Rio Olympics when she had gone to comfort her ‘rival’ at the finish line when the latter had fallen down and failed to advance to the finals with her. Sally Kipyego and Abdi Abdirahman are the perfect examples of this. The two dropped behind from the leading packs earlier in their race, but kept their own consistent paces that resulted in their greatest achievements so far in their careers in marathon running. Kipyego finished second, her first ever podium finish in marathon while Abdirahman finished third, becoming one of the few Americans to finish in a podium position at a world major city marathon. “I just decided to run behind today and run within myself and make sure I didn’t get carried away with the leaders. 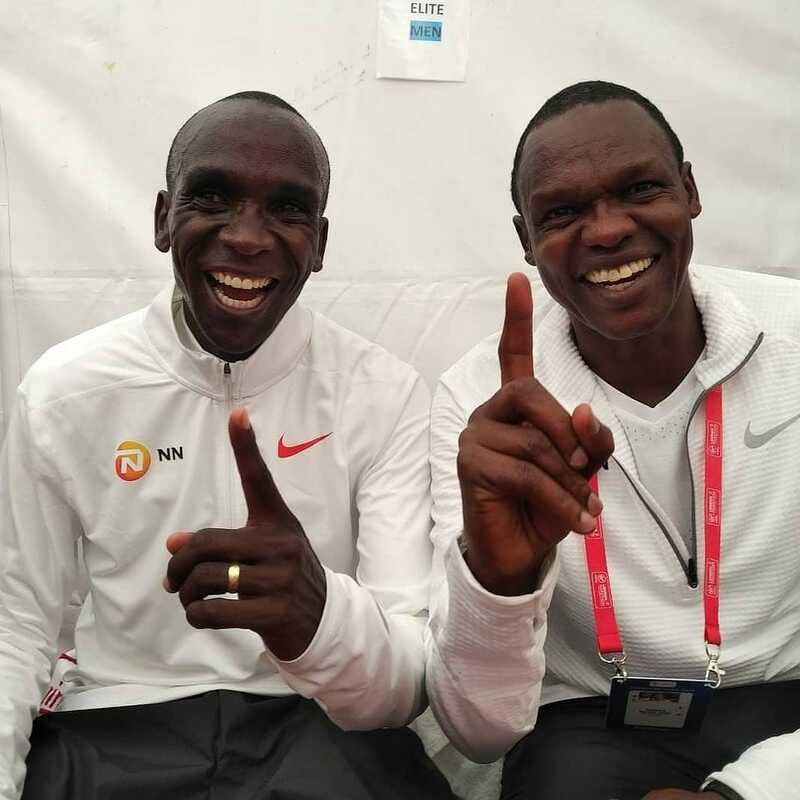 Stayed within my pace, and that paid off today,” said Kipyego after the race. With ten minutes to 7am, the 42km wheelchair race began while we (42km runners) were asked to approach the start line slowly. The event was being aired live in a number of TV stations and knowing that it was close to the start of the 42km event, some journalists in a helicopter seeking to take an aerial view of the start of the race hovered so close overhead and we could hardly hear the announcer counting down the remaining seconds. With a white scarf, some officials tried to wave to the pilot to move away, but to no avail. I saw the starter aim his gun upwards...almost towards the helicopter! I knew the time had come. I wanted to make sure my watch will start well, so I started it some seconds before the gun went off. The gun went off and we dashed forward to avoid a stampede. For the first two kilometers, as usual, the pace was very high as athletes struggled to take vantage positions in the leading pack. The pace then slowed down a bit as we approached 5km but finding the crowd at the lead too large and inconvenient to be in it while tackling corners and picking water at the aid stations, I felt comfortable running some few meters behind them. I found two other friends from Eldoret who liked my pace and we decided to do it together, crossing the 10km mark in 31:50. If only we could maintain, ours was the best pace to take the marathon. Unfortunately, we lost each other before 20km. The 11th edition of the Stanchart Nairobo Marathon in 2013 started outside the Nyayo Stadium with the first half of the race covering much of the city streets while the remaining half took us (the athletes) past the stadium to run two loops on the Mombasa highway before returning into the stadium to cross the finish line on the 400m track. Being the biggest marathon event in Kenya, everything came to a standstill for a few hours of the morning in the city as over 21,000 participants comprising of men, women and children from all walks of life took to the streets to support the 'seeing is believing' initiative that works to eradicate avoidable blindness in children under the age of 15 years. This ebook, first of its kind, written by an athlete who has lived in the same training camps, trained and shared the same experiences with these athletes for over ten years now, may change your perceptions about the world beating runners, after you learn how much they sacrifice in their training. Running, especially long distance, is one of the most challenging sports in the world. Besides taking many years of training, it also needs maximum perseverance, dedication, discipline and daily hard work on the part of the athlete in order for them to finally get to shine. Perhaps that is what defines and separates the Kenyan athletes from the rest. Once they decide to pursue a goal – running for this case - nothing will stop them until they achieve it. Their strong determinations see them through hard daily workouts, waking up early in cold mornings to run, injuries, skeptics, taunting long runs and other strenuous exercises, among other challenges. 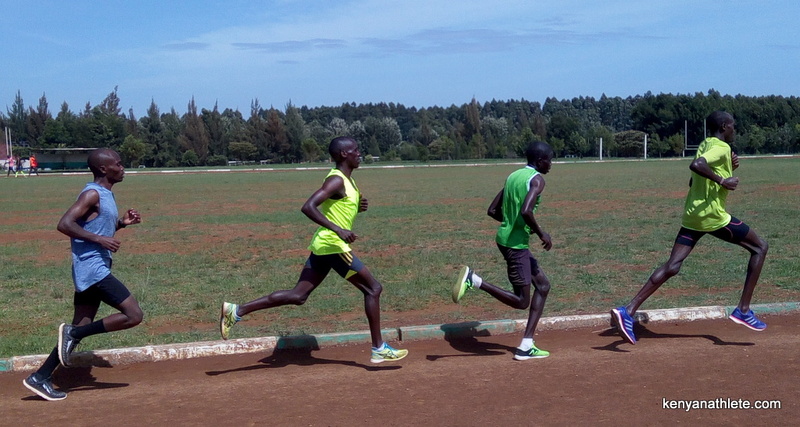 Not only are Kenyan runners determined to win, but they are also willing to give it their all. They are so hungry for success to an extent that some of them even appear to be willing to die trying as evidenced by some instances where a number of them have had to crawl to the finish line in some international marathon races. Hyvon Ng’etich crawled to the finish line at the 2015 Austin Marathon after collapsing with about 50 meters to go, but still made it to the finish line in her condition. -Why Kenyans are great runners. -How Kenyan athletes go for their long runs. Could Japan be shaping herself to be the world’s superpower in athletics? 2018 has seen a number of unexpected surprises from the Japanese athletes ranging from the middle to the long distance races. Yuki Kawauchi won one of the world’s biggest marathon; the Boston Marathon in April. Among other surprising performances by Japanese athletes in the 42km distance was at the Chicago Marathon where the little known Suguru Osako beat the likes of Abel Kirui, Galen Rupp, Geoffrey Kirui and Bedan Karoki, among others to finish on the podium in a new national record of 2:05:50. But more interesting to follow will be Nazomi Tanaka of Japan who won gold medal in the women’s 3000m at the IAAF world u20 championships in an exciting race where fourteen athletes out of the total seventeen who finished the race registered their personal best times. The two team mates from Japan; Yuna Wada and Nazomi Tanaka, had ran a well calculated race to ensure that they won the gold medal for their nation. Soon after the gun went off, the Japanese pair had started to break away from the rest. In many of the distance track races, when a less known athlete breaks away from the field, no one takes them seriously as they would soon falter and get overtaken as the race progressed. The two girls crossed the first 1,000m in 3:00.55, about 50m ahead. It was almost in an even split that they crossed the 2,000m point in 6:03.19. The gap was almost constant and it was beginning to look obvious that some of the pre-race favorites had not taken the two girls seriously as a trio of one Kenyan and two Ethiopians began a frantic chase to try and catch up with the Japanese. 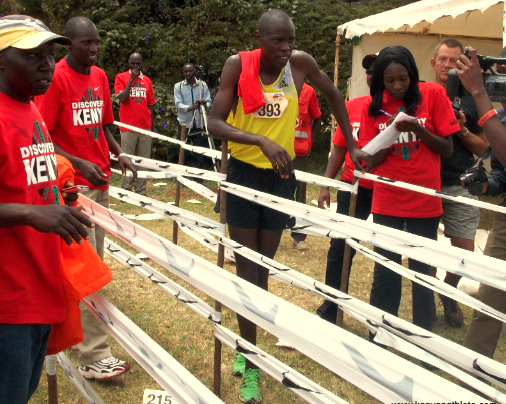 Should top elite athletes from Kenya run in the local races? 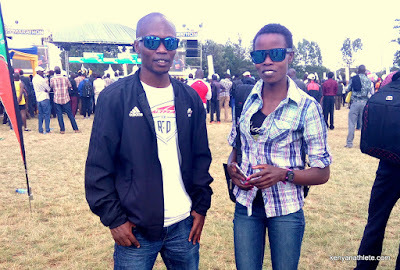 At this year's Family Group (half) Marathon in Eldoret, Joyciline Jepkosgei, the world record holder of the women’s half marathon just won the local half marathon race here. 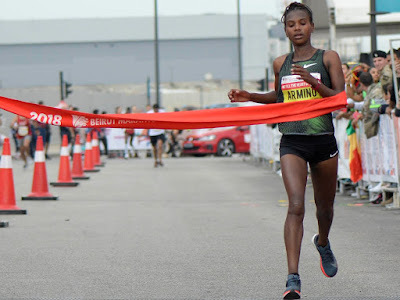 She was followed by the 2014 Commonwealth Games’ marathon champion, Flomena Cheyech for 2nd place while the reigning Paris and Lille half marathon champion, Antonina Kwambai settled for 3rd place. This was just the Family Group’s Eldoret half marathon, a race that is not even in the process of trying to get into any IAAF label! Almost every race in Kenya adds to their other various reasons for staging their races the intention of discovering and nurturing the local upcoming talents. But, the hard question comes in on whether such races should allow the well-established runners to run against the budding talents whose hopes are to beat them despite often running in the wrong shoes in order for them to be noticed by agents who will eventually assist them, if indeed to nurture them. One athlete was running with track spikes on the tarmac during the 21km race today. The elites use these races to gauge their readiness for their next races while the upcoming athletes are using it to try and get a break-through in their life’s careers. Allowing big names in these local races are beneficial in a number of ways. It attracts more sponsors to support races financially in the hope that such names will help market the races far and wide and eventually the companies involved as well. It provides a platform for the upcoming runners to measure themselves up against the big stars and know how far they still need to go in order for them to shine too. It makes work easier for journalists who would just look up the internet for information about the winners. It also brings more fans to the event venues as spectators would want to see the international stars that they usually watch on TV sets running live. However, some issues come in as well. Big managements usually require athletes to finish in the first three positions in the local races in order to sign with them. When the top three positions are swept by athletes who are already in good managements, then the upcoming runners will lack the opportunity to be recruited into the same managements who would support them with the necessary finances and facilitation to get into the big races that will help shape their careers. If a journalist, a doctor, a farmer, a lawyer or any other professional is free to seek for greener pastures out of their countries, I do not see any good reason why runners should not have the same freedoms to move to a country where they believe their services will be more valuable and appreciated and settle there. Running is a profession just like any other. There were some fans with some concerns last year when two Turkish athletes, Kaan Kigen Ozbilen and Can Yasemin, won the men and women European cross country titles and their origins were traced back to Kenya. Some fans seem to be uncomfortable with the fact that athletes with an East African origin who have changed their citizenships and now represent other nations are winning races for their new nations. However, it is hard to pin-point the exact reason for the discomfort. Is it the fear that the East Africans are unbeatable? Is it the issue of unleveled playing field? Or, is it an issue with feelings? Some runners have begun steering away from the notion that athletes with Kenyan origin have to be avoided in races for them to win and the results can be seen: USA’s Shalane Flanagan just beat the women’s marathon record holder, Mary Keitany to win the New York City Marathon; Galen Rupp beat the two times world champion, Abel Kirui to win the Chicago marathon while Sondre Moen of Norway beat Uganda’s world champion, Stephen Kiprotich to win the Fukuoka marathon. In Kenya we import foreign professionals/experts to work in the medical, marketing, construction and in many other fields and many ends up becoming Kenyan citizens. Why can’t we allow other countries to export athletes from us too? After all, we have thousands of Kenyans moving out of the country to work in other jobs too, ending up changing their citizenships in the process. At the moment, many Kenyans have changed their citizenships and settled in Australia, others have joined the US military. So, where is the problem with changing citizenships for sports’ purposes? 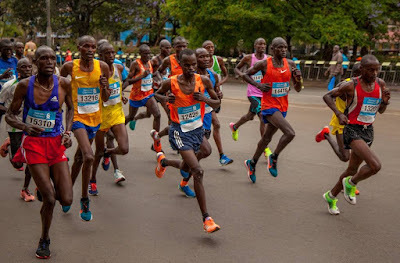 Being arguably the biggest marathon in a country whose athletes dominate the whole world in long distance and road running, it is hard to understand why Nairobi marathon is not part of the biggest marathons in the world. It is further fabling to learn that it is not even one of the IAAF label road races. 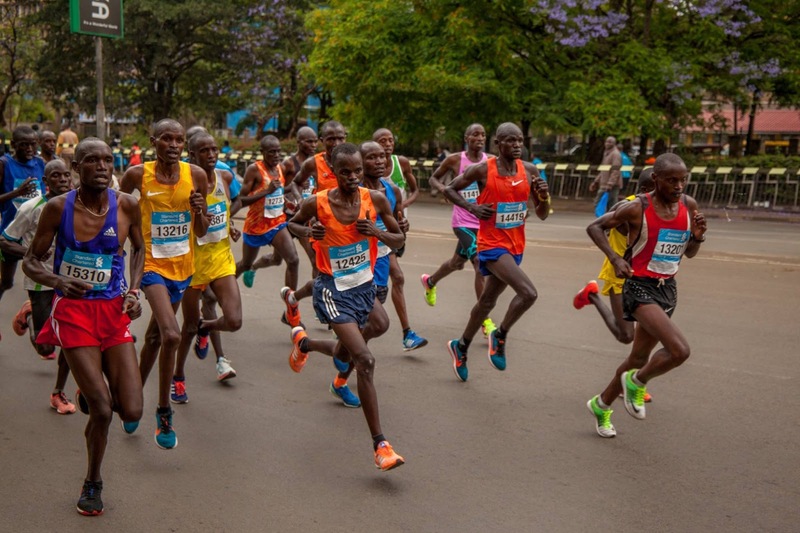 The Nairobi Marathon, despite growing and increasing the registration fees each year, still offers the same prize money it used to offer ten years ago. A new race, the Eldoret City Marathon that was just established this year, could manage to pay double that prize for the winners despite the registration being free and still in the early stages of trying to find sponsors to join it. Nairobi Marathon can attract the world’s best runners and get more recognition internationally if it would do something about its prize money structure. 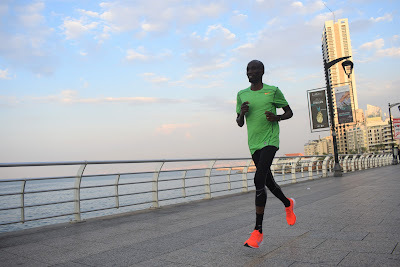 The Lagos Marathon in Nigeria, for example, offers a lot much more in prize money despite knowing very well that the money will likely be won by an outsider. Prize money won in the Nairobi marathon is often invested back in the country, and the more reason why the prizes should be increased. For a race to qualify as an IAAF label race, there are a number of standards to be met. The Nairobi marathon meets most of them, from road closures, to measured and certified course, to availability of water and aid stations, among others. It is encouraging to see many professional athletes beginning to create social media sites to interact with their fans and websites to put up their biographies, their achievements and the projects they are working on, among other information. In the near future, it seems it will be so easy for anyone to learn more about any athlete that wins a competition by combining their names into a URL address and seeing all the information they will need to know about them and all their sponsors in one place. Below are some of the reasons why every professional athlete should be having their own website by now. 1. It helps the athlete put up all the information about them in one single place. Professional athletes have social media sites: Twitter, FaceBook, Instagram, etc. But, a perfect platform that with include all these in one place and any other information that the athletes would wish their fans to know about them is a personal website. Some of my favorite athlete websites are Usain Bolt’s www.usainbolt.com and Mo Farah’s www.mofarah.com and Vivian Cheruiyot’s www.viviancheruiyot.com . 2. The athlete should benefit from their hard work and no one else should capitalize on their name and sweat. The last time I checked, the sites that use the names of some of Kenya’s greatest athletes; for example Eliud Kipchoge and Asbel Kiprop, have completely nothing to do with the runners, and nothing even to do with running. Some domain names are parked for sale while others are online shops for some products not even related to running. While it is hard to tell who the unknown people benefiting from the athletes’ sweat directing traffic to their sites are, the simplest thing to do for the athletes and their agents is to establish their own websites in their names. Pace Sports Management is doing a good work on this so far with their athletes. 3. It helps the press, media, fans and race organizers to find information about the athletes more easily. Instead of looking up for information of an athlete from the search engines, the best place would be on their websites where you will get everything about them, including stories out of their performances such as the projects and charities they support and their training. BetYetu is a local, Kenya-based sports betting website that gives players the chance to enjoy sports betting, with a strong emphasis on football, basketball, and tennis, via a straightforward bet slip. Everything is designed with simplicity and functionality in mind, providing a user-friendly experience. To get things started (as a new player), you can get your multi-bet betyetu bonus coupon code and then proceed with the registration. Once finished, you may start betting on your favourite games and sports. Acca Insurance Offer. You place a multi-bet of, at least, 5 selections on any football-related market. If you lose one game, you will get your stake back in the form of a freebet. EPL Goalless Draw Money Back. For goalless draws on EPL matches, players get free bets equivalent to their stake. This applies to single,pre-kick off bets. Lucky Friday Bonus. Every Friday evening, players that have placed, at least, one bet during the week get free bets. Monday Deposit Play Bonus. Players that have used up their first deposit (or a part of it) that was made on a Monday are awarded a BetYetu bonus that equals to 10% of their first deposit (in the form of a free bet). Multibet Bonus. If you place a multi-bet with a minimum of five legs, you can boost your winnings from 15% and up to 60%, depending on the number of bets you have placed (max. 15 bets). Should you make a decision to visit Kenya for your long distance training? Many foreign runners have made a decision to visit Kenya for their long disatnce training and has resulted in great changes not only in their careers but lives in general, Zane and Jake Robertson of New Zealand are some of the perfect examples. I am always here to help you just in case you will need to make the decision to come here and train. check my contact page and give me a shout and we see how I can help in terms of getting to Iten, Eldoret, Kapsabet, etc; pick up from the airport, accommodation options, training groups to join, etc. You can as well check my ebook: Ideal Places to Train In Kenya for more information. As a foreign or a local athlete, it is always much cheaper to rent a house and cater for yourself rather than live in a hotel while training in Kenya. You should not worry about where to find training partners here. You will be spoiled for choice as there are so many training groups, all you will need to do is wake up at around 6:15 am, you will see hundreds of athletes warming up outside. Go out and ask what they intend to run and settle for a group that is going to do the time that pleases you. Alternatively, you can enroll yourself into one of the camps where they will take care of all your training and accommodation needs, but this option will be expensive. Ten years ago in Kenya, when an athlete got lucky to be enrolled into a training camp, it meant a lot to him, or her. It was easier then to get races, and there was also enough sponsorship in the camp to ensure that the athletes lacked nothing for their upkeep. With time, these camps have begun to suffer from mismanagement, lack of enough funding, athletes changing managements and poor public relations. This has ended up in athletes preferring to train individually at their own destinations of choice, or with smaller groups. Betting is now a rapidly growing sector within sports. Many betting companies are sprouting up with each one trying to make them more appealing to the public as the competition increases. And, besides the government taxing the industry to get money for nation building, many charities as well benefit from these betting companies. With the new offers coming up every now and then, it is harder for betters to choose which site to subscribe to. - If your ticket gets spoiled due to one game, Naibet has your back. - Nairabet customer care teams are readily available to offer excellent services to both local and international gambling enthusiasts. - Nairabet Affiliate Code 2018 is a promotional offer added to the Nairabet registration form. It is used to reward you when you go through Nairabet registration. Currently, one popular offer that caught our eye is surely Monday Funding Madness. All you have to do is to fund your account on Mondays between 9 a.m. and 9 p.m. and you’ll get 10% bonus of the deposited amount in less than 24 hours! It sounds great, doesn’t it?